​When Glen Hansard booked time in Black Box Studios, the plan was to inventory his songbook. It was the recordings that Glen Hansard dug through that whispered the structure and formed his recent album release, Between Two Shores. Human conditions feel like a personal accounting on Between Two Worlds as the songs talk politics (“Wheels on Fire”), take a lost lover into a social environment (“Time Will Be the Healer”), sit at a table with self-doubt (“Setting Forth”), and use Vintage Soul to say goodbye to love (“Lucky Man”). 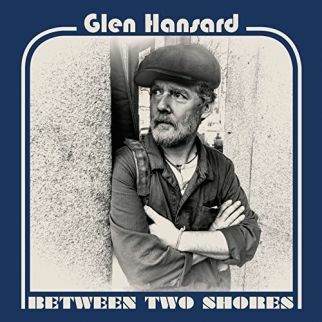 While the ideas for Between Two Shores began their journey in France, the recording for the album took place in New York and Chicago, with Glen Hansard’s touring band giving the release creating fuller sound closer to his live shows. A lonely saxophone riff soundtracks the solitary path of “Wreckless Heart” as “Your Heart’s Not in It” points the finger of honesty as it asks for an admission of guilt. 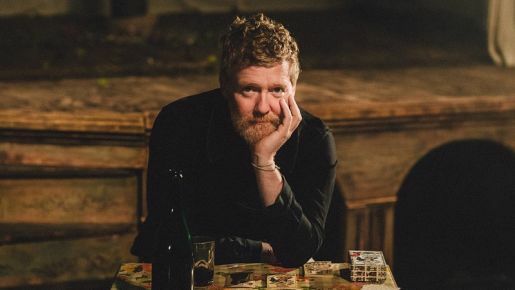 Following a 25-year anniversary with his band The Frames in 2015, Glen Hansard releases Between Two Shores as his third solo album effort, snagging the album title from his recently discovered love of sailing. While a cast of players come together to back Glen Hansard on Between Two Shores, it is his touring band that give the Van Morrison-moods to “Why Woman” and the E-Street groove that is channeled with “Roll on Slow”.